Join Aspire’s Founder, Dr Sam Collins, named by HM The Queen as “One of the Top 200 Women in the UK to Impact Business and Industry” and by CNN as “A Woman Shaping the World” and an international and diverse group of like-minded individuals for the first Trailblazers workshop in Los Angeles to lead and trailblaze change in life, work and world! We have been creating pioneering events & programs for 20 years across the globe. They have been described as “different to anything else, best in class, inspiring, powerful, space to think, challenging, innovative, fun, life changing and empowering”. Be part of a collective group of change makers making a difference and accelerating their thinking and leadership. Develop a vision of what's next for yourself, your workplace, community and world. Gain new solutions, systems and ways of thinking for change. Strategies to deal with opposition and difficult people. Tools to make your goals easy and quick to achieve. Ways to increase your intuition & be more innovative. Learn how to leverage your true passions, strengths and potential. Overcome obstacles and move past limiting thinking and fears once and for all. Let go of the need to control and create freedom. Increase your courage to make things happen. Reduce stress and create true health & balance. Leave with a plan, new contacts and a supportive network. Get a feel - Trailblazers in London UK a few years ago.. Workplace equality, diversity and change. Race and acceptance among all races for each other. Women and girls' self-esteem, empowerment and leadership. Homelessness especially among young people/women. Foster care, especially among kids who age out of the system. 1 hour webinar to prepare, set goals and network online. 1 hour post event webinar to support and hold you accountable for your workshop actions. You’ll leave with the support and accountability to move towards your vision and be part of a global community of change makers. And by attending this event, you’ll be the first pioneering Aspire Trailblazers in the USA. 1 for 1 | Buy a place and fund a scholarship place for someone who cannot afford to attend. "It was a pure inspiration. I have the empowerment to change static views and engage further in equality. It crosses borders, it crosses sectors, it unites a flame inside you to stand up, raise the roof, to make a change with a massive support crew in tow." “Wow! What a day. You’ve converted me from a strident sceptic of all courses to an avid fan of yours. Amazing women today. So much we can all achieve. Your stories carried us through and will stay with us forever." "Really life changing. It was really, really life changing to be honest...And I was delighted to come back again because I wanted a bit more of that 'magic dust"...it was just fantastic. I feel buzzy, I feel energized, head spinning with ideas of things we can do, ways we can make a difference." Scholarship places are available for those working to change the world in charities, not-for-profits, schools, government and social enterprises. This includes students, unemployed, retired, veterans and stay at home parents. Apply here. The Freehand – distance to the hotel, 4 – 7 minutes by car. Ace Hotel – distance to the hotel, 4 minutes by car. Hotel Figueroa – distance to the hotel, 4 – 7 minutes by car. JW Marriott at LA Live – distance to the hotel, 6 minutes by car. The Nomad – distance to the hotel, 6 minutes by car. We recommend Uber or Lyft to get you to and from the venue. There is parking in local lots. Also, you might find it useful to look at travel websites like Expedia, Booking.com etc. as they often do good flight and accommodation packages. We do suggest coming in a day or 2 early to enjoy LA and recover from jet lag. Scholarship places are open to those who cannot otherwise afford to attend Trailblazers. To be considered for a place, you need to complete the scholarship application below as soon as possible to secure your place at this pioneering event. APPLY HERE NOW – We are waiting for you! 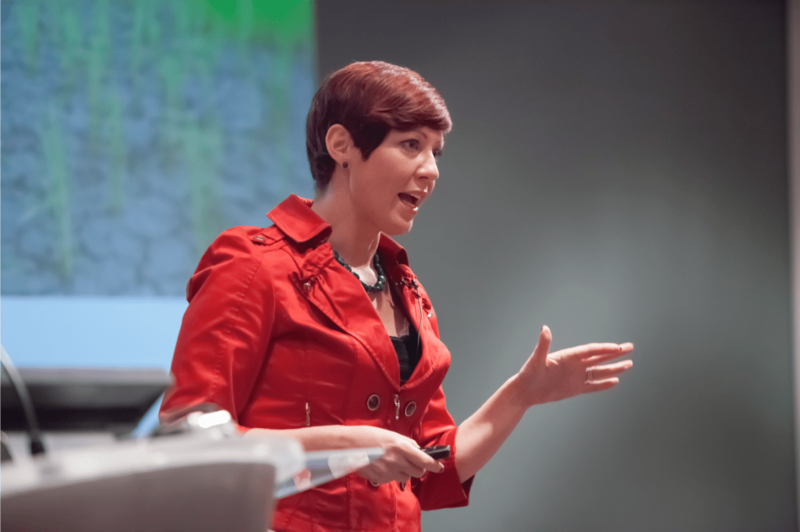 Dr Sam Collins is a leading international voice on leadership and equality, a social entrepreneur, speaker and author. Dr Sam Collins founded Aspire in the UK nearly 20 years ago when she was just 30 years old, now a globally sought after organization that empowers a new way of leadership in life, work and world. She has lived, travelled and worked in the UK, Europe, Canada, Africa, India, Australia and the US. Sam has been named “One of the Top 200 Women to Impact Business & Industry” by Her Majesty The Queen, “A Women Shaping the World” by CNN and “Leader in the Workplace” by the Ogunte Women’s Social Leadership Awards. A 7 year part time PhD explored the future world of work and she is the author of the internationally best selling book, ‘Radio Heaven – One Woman’s Journey into Grace’. She has worked with global corporations, government and not-for-profits across the globe over the past 20 years and has contributed to The Financial Times, The Guardian, CNN, The Huffington Post, The Sunday Times and the BBC. Originally from the UK and passionate about pioneering change, family and life balance, Sam now lives in Los Angeles with her husband and three children.